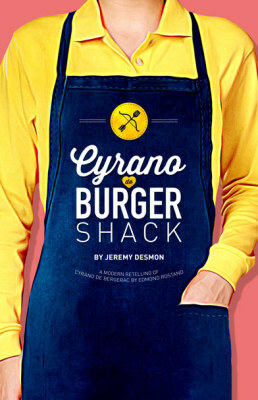 Cyrano is king of the local Burger Shack, but he can't seem to win the love of his best friend, Roxanne. When Roxanne confesses her crush on the new burger-flipper, Christian, Cyrano decides that playing Cupid is better than sitting out of the game. An updated, modern-day version of Edmond Rostand's Cyrano de Bergerac, this rollicking musical features hit contemporary pop songs that will have audiences cheering. Great roles for young women and men with music by Pink, Kelly Clarkson, Bob Dylan, and many others! Audition dates May 13, 14, and 16, from 6:30-8 PM, at GRP. Open to students just out of 8th grade through just out of high school. Please bring a 30sec.-1 min. prepared song, and a list of conflicts.